Situated in close proximity to the equator on Africa's east coast, Kenya and Tanzania has been described as "the cradle of humanity". In the Great Rift Valley paleontologists have discovered some of the earliest evidence of man's ancestors. In the present day, both countries ethnic diversity have produced a vibrant culture. The incredible diversity of landscapes, cultures, wildlife and activities mean endless opportunities for visitors to Kenya and Tanzania. They offer a diverse range of environments all within relatively close proximity to one another, and have an excellent domestic travel infrastructure. Kenya and Tanzania’s rich diversity of wildlife means that no two experiences in the wild are ever the same. Visitors can experience and see completely different things. In a single trip, you can visit tropical forests, beautiful beaches, and deserts, climb mountains and explore the wild. In both countries, it is possible to plan a safari that blends adventure and relaxation, luxury and natural simplicity, social experiences and solitude. We can help build your perfect itinerary or simply select and plan yourself using our Route Planner. The diversity of game in both Kenya & Tanzania is simply astounding. From the big five to the small five, game parks, reserves and other wildlife protection areas host some of the wildest game thus the reason why this is home for the safari. Dotted in their unique landscapes, geographical features, a vast array of game ensues. The icing on the wildlife cake is the annual Wildebeest Migration, which begins in the Serengeti (Tanzania) around April time, as they start their great migration north. During September sees the herds spread out across the northern Serengeti where the Mara River provides the migration with its most serious obstacle. This river gushes through the northern Serengeti from Kenya's adjacent Maasai Mara Game Reserve. Watching the frantic herds of the wildebeest migration crossing the Mara River can be very spectacular; there are often scenes of great panic and confusion. It's common to see herds cross the Mara River north on one day, and then back south a few days later. Mobile camps are set up by the river to offer guests a chance to see this spectacular natural phenomena. Feel free to contact us and we will help organise your experience. Maasai Mara (Masai Mara) is situated in south-west Kenya and is one of Africa’s Greatest Wildlife Reserves. Together with the Serengeti National Park in Tanzania it forms Africa’s most diverse, incredible and most spectacular eco-systems and possibly the world’s top safari big game viewing eco-system. The endless grassy plains (Serengeti in Maasai) are the richest grazing grounds on the continent, and therefore home to the largest herds and the highest concentrations of predators on the planet. See our Route Planner above, for a wide range of luxurious accommodation in the region. Why not enjoy the beach after an adventurous safari in the Mara? With a flawless, long stretch of white-sand beach hugged by lush forest and kissed by surfable waves, it's no wonder Diani Beach is so popular. This resort town scores points with a diverse crowd: families, honeymooners, couples and water-sports enthusiasts. View our luxury hotels in Diani – or please do not hesitate to contact us, and we can help put together a tailor made itinerary to include Diani. Diani offers perfect relaxation before or after a safari and for travellers who just want to soak up the sun, extended stays are ideal. Accessibility is simple through Safarlink. Sprawling over the Laikipia plains, Lewa Wildlife Conservancy is a prolific wildlife conservancy that is popular with celebrities, conservationists, writers and photographers. Visitors to Lewa are privy to some of the most spectacular wildlife viewing that Kenya has to offer: lion, leopard and jackal thrive on the rich diversity of prey that inhabits the area. The Wildlife Conservancy is home to the largest concentration of Grevy’s zebra in the world, and its range of habitats attracts diverse birdlife and hosts over 130 Black and White rhino. Check out our property in the conservancy, for rates and availability. Lake Manyara National Park is based around a shallow lake in the Great Rift Valley, just an hour’s scenic drive from Arusha and Kilimanjaro. Ernest Hemingway famously named it the ‘loveliest lake in Africa’. Lake Manyara National Park is 329 sq km, and the lake’s waters are incredibly alkaline and cover 231 sq km of Manyara National Park. The rivers and lakes of the Selous are the lifeblood of a park that hosts some fabulous game, including elephant, wild dog, buffalo, hippo, crocodile and fantastic prides of lion. As the migration covers many months, this wonderful site can be seen from both Kenya and Tanzania and one of the best ways is via a hot air balloon. Should the migration be away from the balloons cruise you will still see the spectacular wilderness on a once in a lifetime experience. A balloon safari offers the visitor a fantastic view of the great plains of East Africa and the chance to drift unobtrusively over animals and herds below. Speak to your camp regarding bookings. A privately escorted foot safari is one of the best ways to really experience the African bush at its best. Walking through the wild allows you to explore the Kenyan and Tanzanian wildness at its most pure. As you track big game, you become aware of every sight and sound, the smell of the earth and the touch of the wind. Various camps and lodges have guides available for game and birding walks into the bush. Whether you are a keen birder, or would like to get close to game on foot, this is the perfect way to explore the East African mainland. The guides have an excellent local knowledge and are well versed at tracking and approaching game. 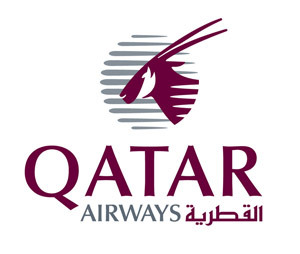 Qatar Airways offer a 5 star daily service into Nairobi, Mombasa (via Kenya Airways), Kilimanjaro and Dar es salaam, with easy connections through Safarilink and Safari Air Link to camps and lodges featured on our Route Planner. Should you not wish to use a ground handler, you’ll need to alert camps, lodges and hotels booked of your travel arrangements to ensure on time collection. For your convenience, find below links to our air partners and please contact us for any advice on our camps or lodges.